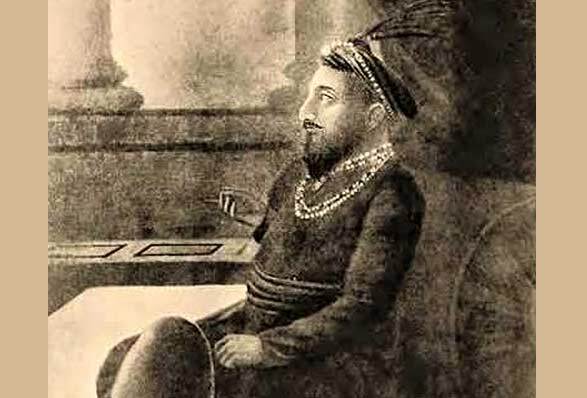 The first Nawab of Bengal, Murshid Quli Khan patronized this rich weaving tradition and brought this craft to Baluchar village of West Bengal. 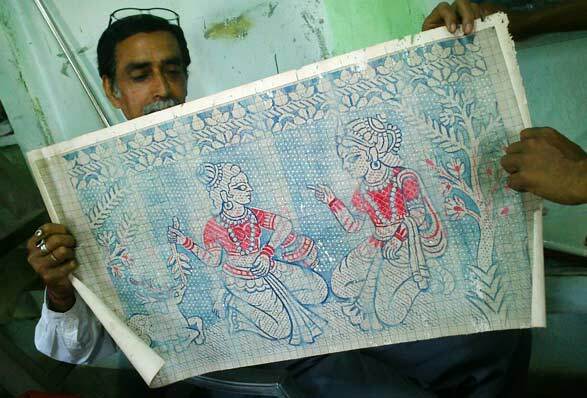 His encouragements made this art earn accolades worldwide and it flourished with the name of Baluchari weaving. 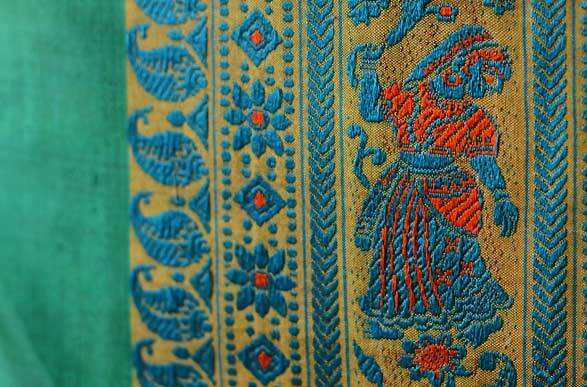 In 18th century, during the reign of Murshid Khan European trade especially in textiles was on surge. 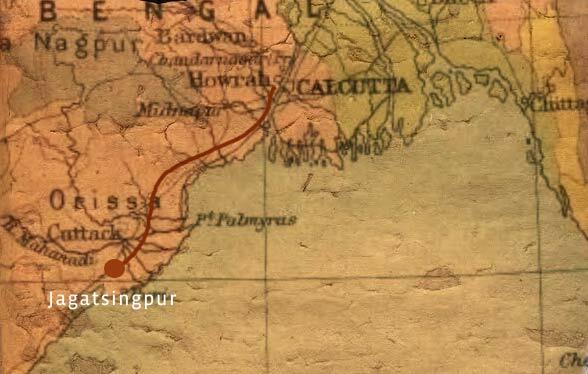 From Bengal, large volumes of goods were exported to European ports. 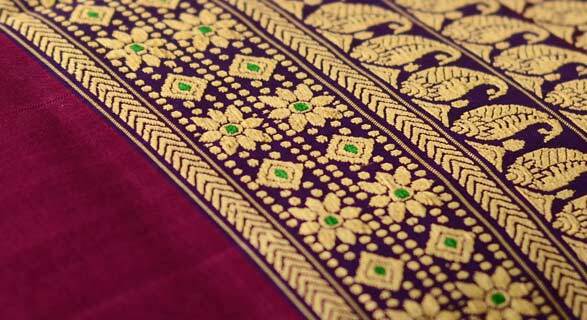 Silk and cotton were the highly sought after commodities. After the flooding of a tributary of Ganga (Bhagirathi), the Baluchar village got submerged in water and the artisans had to resort to safer locations, leaving behind the facilities and infrastructure provided to them by the Nawab. 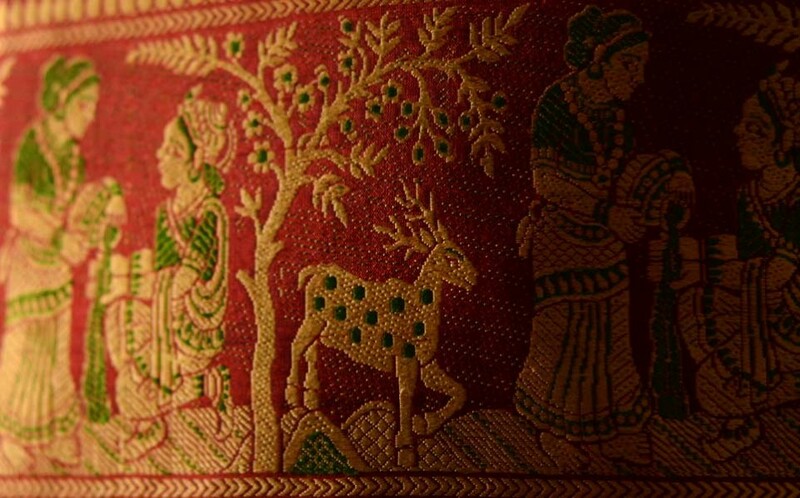 The weavers relocated to Bishnupur, which came under Bankura kingdom under the reign of Malla dynasty. Due to relocation, absence of patrons and immense pressure from British government to make weavers switch to other professions, the craft saw a decline and very few ardent weavers could continue. Dubraj Das was the last known weaver of the Baluchar village, who died in 1903. 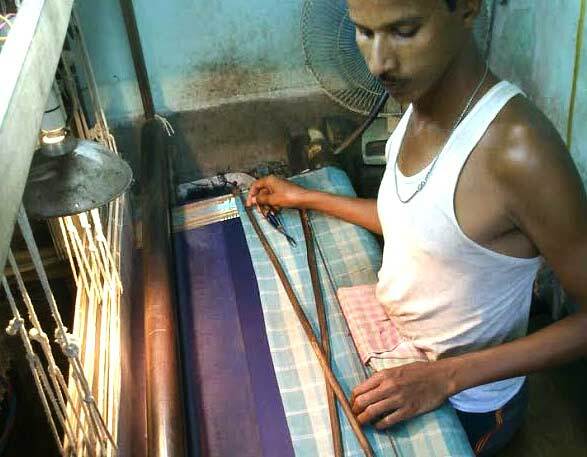 He used to sign his saris like an artist’s artworks, a rare phenomenon by any artisan. 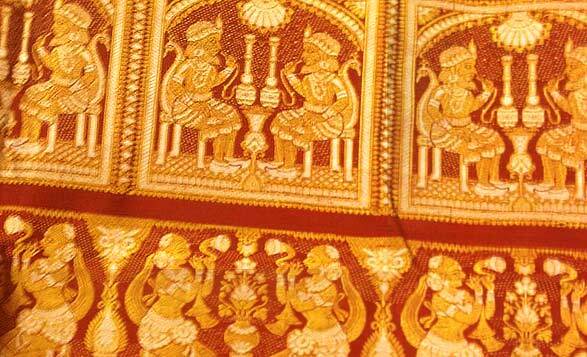 The saris signed by him are still being found and procured. With the arrival of Jaquard looms, jala system is now replaced by punched cards. The designs are now drawn on graph paper and then the jacquard artisan starts punching cards as per the design; the punched cards are afterwards seamed in sequence and fixed in the Jacquard machine. 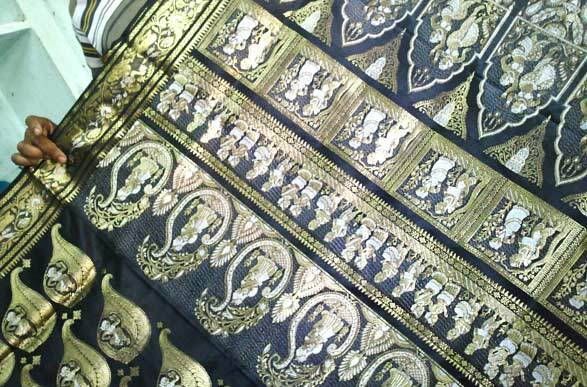 The use of Jacquard has reduced the weaving duration of Baluchari sari to six days, when 2 artisans work in shifts, but the sari motifs are no longer reversible. Though the ancient village of Baluchar is now submerged under the natural weave of Bhagirathi and its tributaries and distributaries, the tradition of weaving on the looms is being carried forward by the young generation of weavers in the town of Bishnupur. The old took away a dimension of stories with it but another one is being pulled back and embellished with new images and depictions.